1. Stamm WE, Hooton TM: Management of urinary tract infections in 8. adults. N Engl J Med 1993, 329:1328-1334. 3. Pappas PG: Laboratory in the diagnosis and management of urinary tract infections. Med Clin North Am 1991, 75:313-325. 1G. 4. Kunin CM, VanArsdale White L, Tong HH: A reassessment of the importance of "low-count" bacteriuria in young women with acute 11. urinary symptoms. Ann Intern Med 1993, 119:454-46G. 5. Meyrier A, Guibert J: Diagnosis and drug treatment of acute 12. pyelonephritis. Drugs 1992, 44:356-367. 6. 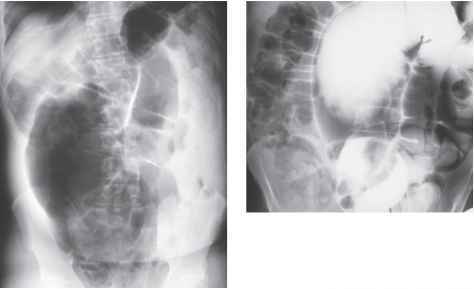 Meyrier A: Diagnosis and management of renal infections. Curr Opin Nephrol Hypertens 1996, 5:151-157. 13. 7. Mobley HLT, Island MD, Massad G: Virulence determinants of uropathogenic Escherichia coli and Proteus mirabilis. Kidney Int 14. 1994, 46(Suppl. 47):S129-S136. Roberts JA, Marklund BI, Ilver D, et al. : The Gal(a 1-4)Gal-specific tip adhesin of Escherichia coli P-fimbriae is needed for pyelonephritis to occur in the normal urinary tract. Proc Natl Acad Sci USA 1994, 91:11889-11893.
International Reflux Study Committee: Medical versus surgical treatment of primary vesicoureteral reflux. J Urol 1981, 125:277. Talner LB, Davidson AJ, Lebowitz RL, et al. : Acute pyelonephritis: Can we agree on terminology? Radiology 1994, 192:297-306. Roberts JA: Etiology and pathophysiology of pyelonephritis. Am J Kidney Dis 1991, 17:1-9. Petersson C, Hedges S, Stenqvist K, et al. : Suppressed antibody and interleukin-6 responses to acute pyelonephritis in pregnancy. Kidney Int1994, 45:571-577. Case records of the Massachusetts General Hospital. N Engl J Med 1995, 332:174-179. Dobyan DC, Truong LD, Eknoyan G: Renal malacoplakia reappraised. Am J Kidney Dis 1993, 22:243-252.